Credit: Photo: D. Rusiecka, GEOMAR. The last assessment of Pb concentrations in European shelf seas was undertaken when leaded gasoline was still widely used. In the new study the marine biogeochemists Dagmara Rusiecka, Dr. Martha Gledhill and Professor Eric Achterberg from GEOMAR show that a 4-fold reduction in Pb concentrations is evident in surface waters of the Celtic Sea, compared to measurements undertaken two to three decades ago. "This is the first study showing a pronounced reduction in Pb concentrations in European surface waters since the phasing out of leaded gasoline," says Dagmara Rusiecka, PhD student and lead author of this study. "and underpins that the successful phasing out of leaded gasoline led to a substantial reduction in atmospheric Pb pollution and deposition in marine waters", Rusiecka continues. Nevertheless, in the study area the Pb concentrations are still 10 to 60-fold higher than natural background levels. The Pb deposited in the ocean is ultimately transferred to the sediments. 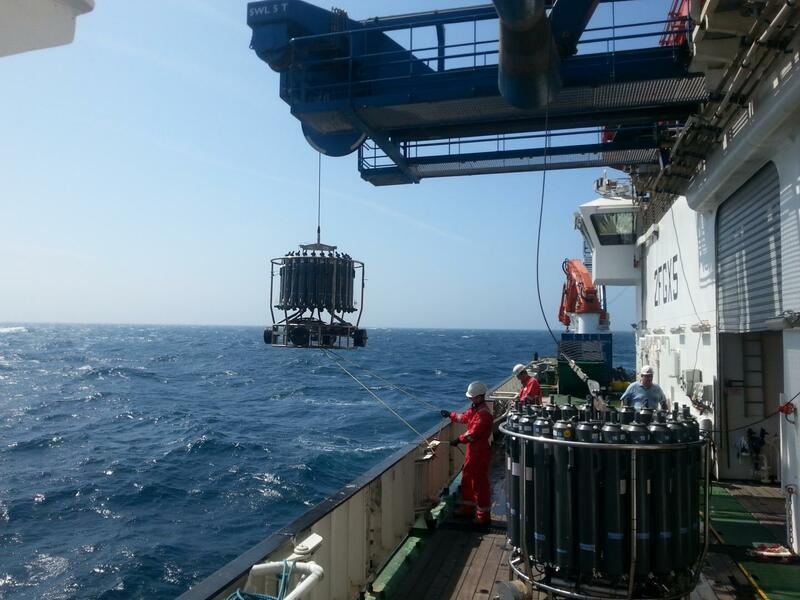 "Since the atmospheric inputs are reduced, we can now see that the legacy Pb is being released by the sediments, forming a new Pb source to the environment", Prof. Eric Achterberg from GEOMAR explains. Interestingly, waters from the Mediterranean which reach European shores at a depth of about 1000 m, carry a strong anthropogenic Pb signal. The Mediterranean has received a great deal of Pb from surrounding countries, with for example leaded gasoline in Italy, Spain and Greece only being phased out in 2003. The sampling and analysis of Pb in seawater is challenging because of the relatively low concentrations. It has only been possible since the 1980s. The sampling has to be conducted using specialized metal-free equipment (Kevlar cables and Teflon coated bottles), in order to exclude contamination from sampling equipment. "Sampling is a particular challenge because Pb is found almost everywhere on ships – even on new plastic surfaces", explains Dr. Martha Gledhill, co-author of the study. "We performed the analysis in specialized clean-rooms, similar to the ones that computer chips are manufactured in", she continued. Professor Eric Achterberg summarizes: "We now see reductions in Pb in surface waters of the European shelf seas due the reduction of Pb emissions. Unexpectedly, the sediments that accumulated Pb over the last 150 years, now have become a source of Pb to overlying waters. This was not expected, as Pb is assumed to bind very strong with particles in the seas and thus become permanently trapped in the sediment. Therefore, we assume that Pb concentrations in coastal waters will take much longer to return to the natural background levels than previously anticipated, with potentially negative consequences for marine organisms and humans following bioaccumulation in the foodchain." The Pb data from this study are an important contribution to the GEOTRACES Programme – a large international effort to map metal concentrations in the global ocean. "The data will allow us to make larger scale predictions about contaminant transport in shelf seas. Ultimately, combining such information with worldwide contaminant metal measurements and improvements in ocean models will enable us to make robust predictions about pollutant behaviour and effects on ecosystems at a global scale", Professor Achterberg concluded. This work was funded by a GEOMAR Helmholtz Centre for Ocean Research Kiel and the Natural Environment Research Council to E.P.A and M.G. (Grant number NE/K001973/1).